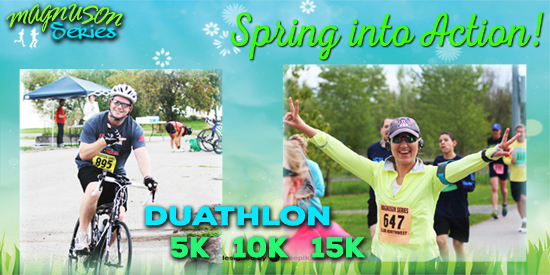 This is one of our special event days, so not only do we have our 5, 10, and 15k runs, we also have our spring duathlon. If you have not tried a duathlon, this event has the perfect distances with a 2.5 mile run, 10 mile bike, and a half mile sprint to the finish! To visit the duathlon page Click here. So let's ring in Seattle's longer days with a run, walk and bicycle. Come down to Magnuson Park for Seattle's greenest event! Each finisher will receive a native sapling tree and Magnuson Series will also donate an additional tree for each finisher to the Mangrove Action Project. 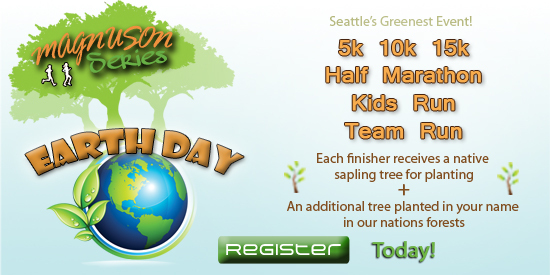 We will have organic snacks, prizes and a post race planting party, if you'd like to plant your tree in the park. This is one of our half marathon option events as well, so you can get in even more miles. Details can be found by clicking here. Thank you Smarty Pants Vitamins for sponsoring the purchase of over 500 native tree's to be planted. Spring is winding down and summer is right around the corner. 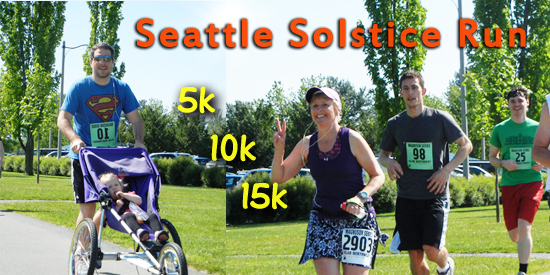 This is a great long weekend to bust out a 5k, 10k or 15k run! 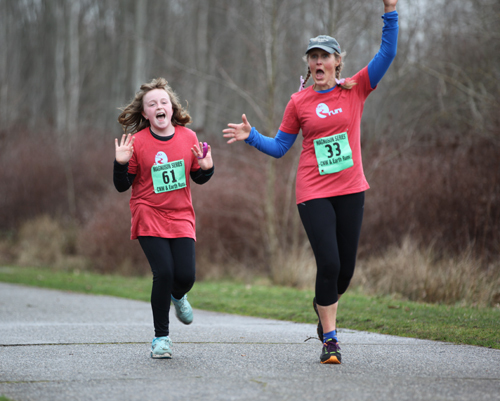 The Bainbridge Island group Go Run came, saw and conquered the 5k course last month, way to go Caroline and Colleen! Or join our Facebook group Click Here. This newsletter is only sent once a month. If you like it, forward to a friend.